Derek Niemann hosts an evening of readings from German and British nature writers. With Polly Roberts, Katie Harrison, Sophia Klink, Lisa Paetow, Monika Schuster and Dan Ryder. 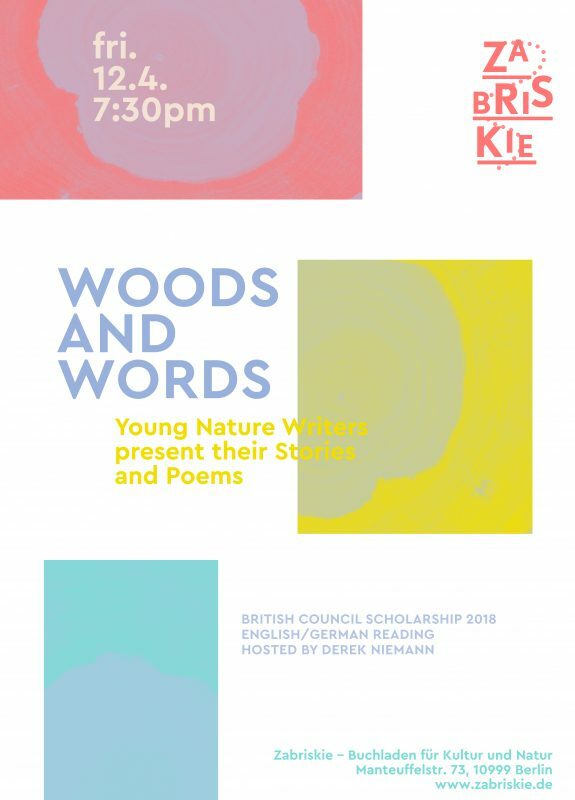 To celebrate the British Council’s ‘Nature Writing in Germany/UK’ season, Zabriskie Bookshop is delighted to present an evening with the six nature writers who were awarded scholarships from the program. Hosted by acclaimed nature writer and creative writing tutor at Cambridge University, Derek Niemann – the night will be a collection of readings, questions and answers about how nature unites us all, wherever we are from.